UK Casino Bonus Site - Get £200 Online Sign Up Deals Now! 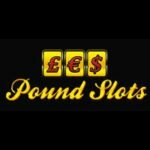 | PoundSlots Casino Site - £200 Deposit Bonus! Pound Slots keeps all its players on the cards with upper crust online wagering games. Deposit a few pounds to get started at this amazing bonus slot casino, and rake in up to £200 for your first real money deposit! 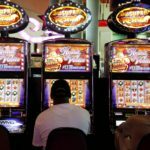 It has rapidly emerged as a dominant online slots site powered by highly developed software for excellent free play and real money virtual games. Whether you’re a newbie or a seasoned player, Pound Slots packs a vast collection of games to steal a march. All slots and casino games give you as much fun whether you play for free or cash! If you sign up today you can get a 100% match bonus for the first deposit of up £200! Pound Slots leads the pack with sizeable welcome bonuses, game variety, free slots spins and expedited payouts. We have a top-class online casino platform where you can relish in blackjack, slots, scratch cards, roulette, casual games, video poker, Live dealer games, and much more. Play our raffle to bring home a life-turning cash prize; you can aim for the stars with our £5Million mega jackpot. Players can tweak to the demo mode to play for free and hone their skills! Play Live Roulette with multiplayer and 3D support, slots, table games such as Blackjack, Live poker and top games for jackpots winnings over 2M pounds. Discover a broad range of top-level online slots or live casino games with no download requirements. 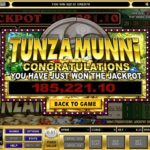 Be on the money with our new casino instant games like scratch cards, online slots, free spins, and casino gaming machines. Our instant win games come with a high payout rate for a whole range of varieties. You get an instant prize for every win you make. What’s more, you can get a free bonus to get on your feet with your bottom dollar to play free instant winning games! Try our casino games and online slots coupled with a bagful of rewards to top off the £200 bonus. Try slot games and build up your points to double free spins. Pound Slots Casino dishes out exclusive rewards, no deposit free games, and bonuses every weekend. Monday Madness will jazz up your gaming experience as every week starts. Play entertaining UK Casino slot jackpot games at our site for real cash awards and delight in nonstop free bingo. 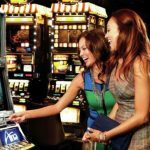 Pound Slots Casino gives you the convenience of playing virtual games on your mobile. But the seamless process to foot the bill with an excellent UK-based customer care. Credit your casino deposit with our mobile phone bill system, it’s step-less and encrypted for security and data privacy. No credit card details, complicated procedures, and you can easily access or add cash to your account anywhere, anytime and at any amount. 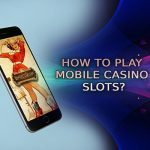 The Casino Pay by Phone Bill is the best option if you want to get the ball rolling fast to make instant wins without expending much time and energy. It will do the job with a vast majority of UK-based mobile network providers and provides updates via SMS messages. Join today and play with your bonus online! 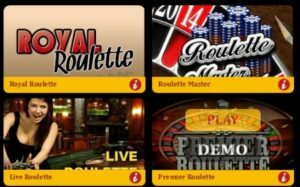 UK Roulette Mobile – Take a £200 Sign Up Bonus Today!